Driving or riding in an automobile is easily the most dangerous thing the average person does every single day. From May 23 through June 5, 2016, the Kingsport Police Department is partnering with the Tennessee Highway Safety Office and the National Highway Traffic Safety Administration to step up seatbelt enforcement. This campaign encompasses the Memorial Day holiday, which is traditionally one of the busiest travel weekends of the year. Every day, unbuckled motorists are losing their lives in motor vehicle crashes. As we approach Memorial Day weekend and the summer vacation season, we want to make sure people are doing the one thing that can save them in a crash—buckling up. More than 50% of vehicle occupants killed in crashes in Tennessee were not wearing seat belts. 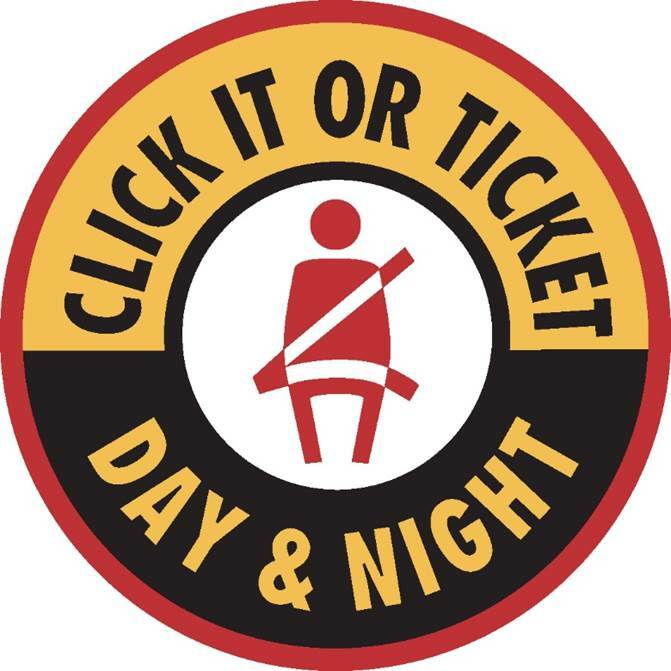 The Click It or Ticket campaign is a high visibility enforcement mobilization by local, state, and national law enforcement officials to crack down on seat belt violations. Click It or Ticket is not about the citations; it is about saving lives. Seat belts are the single best defense in the event of a crash. In 2012, seat belts saved an estimated 12,174 people from dying. From 2008 to 2012, seat belts saved nearly 63,000 lives, enough people to fill a football stadium. Seat belt use is required by law for a reason: If all passenger vehicle occupants 5 years of age and older involved in fatal crashes had worn their seat belts, an additional 3,031 lives could have been saved in 2012 alone. Wearing a seatbelt can easily make the difference in a motorist being seriously injured or killed in a crash versus literally walking away from the crash with minor injuries or completely unscathed. The Kingsport Police Department encourages ALL occupants of ALL motor vehicles to wear their seatbelt ALL of the time. It is the law, but more importantly, it might just save a life.